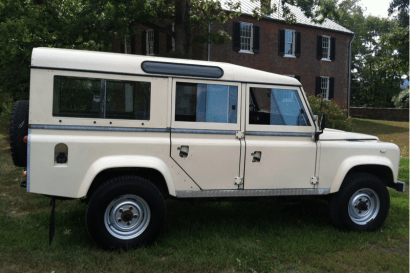 The 1982 Land Rover Series III is more than just a machine. 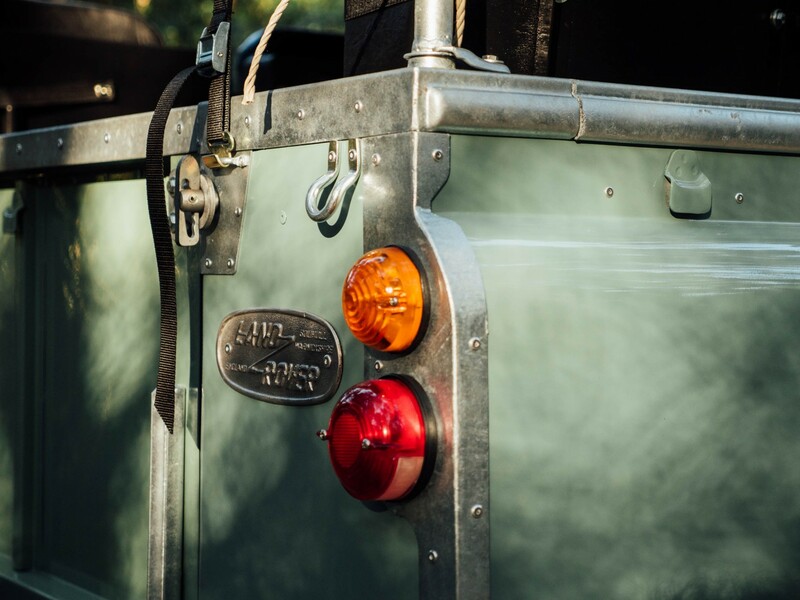 It belongs to a class of Land Rover imbued with many of the classic tropes of the original from 1948. 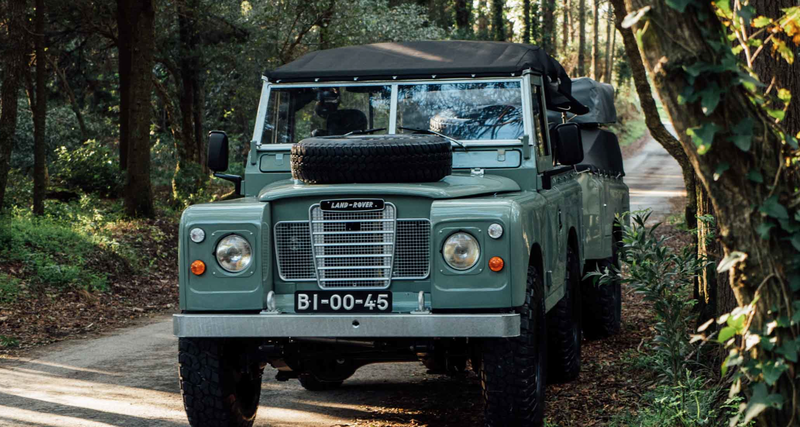 First introduced in 1971, the Series III offered only a few modest improvements over the previous Series IIA. 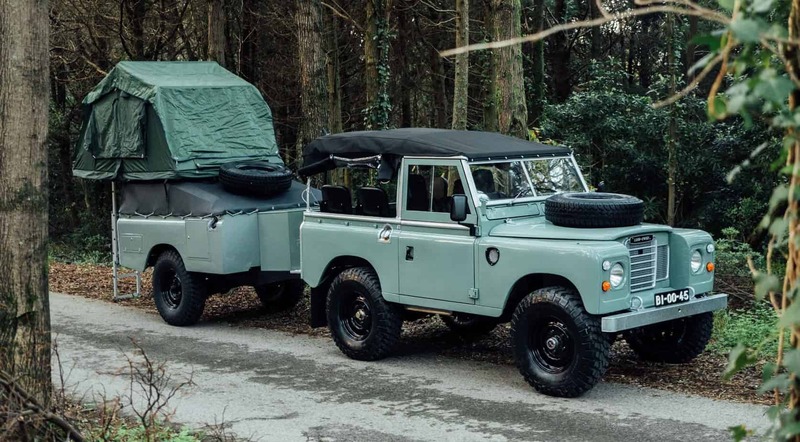 Marking a subtle transition from utilitarian country car to something slightly more refined, the Series III added creature comforts like a padded dash and even a place for a radio. Adding to the driver appointments, the instruments, once centrally positioned, were moved behind the wheel for better visibility. 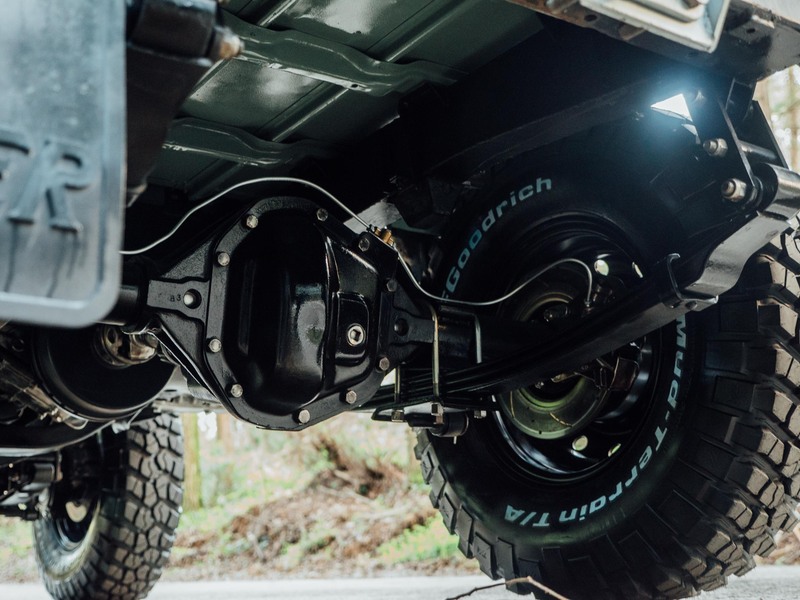 Underneath the body, the Series III received a lower gear set and a Salisbury rear axle. It also retained the iconic inset grille found on the original Series I truck. 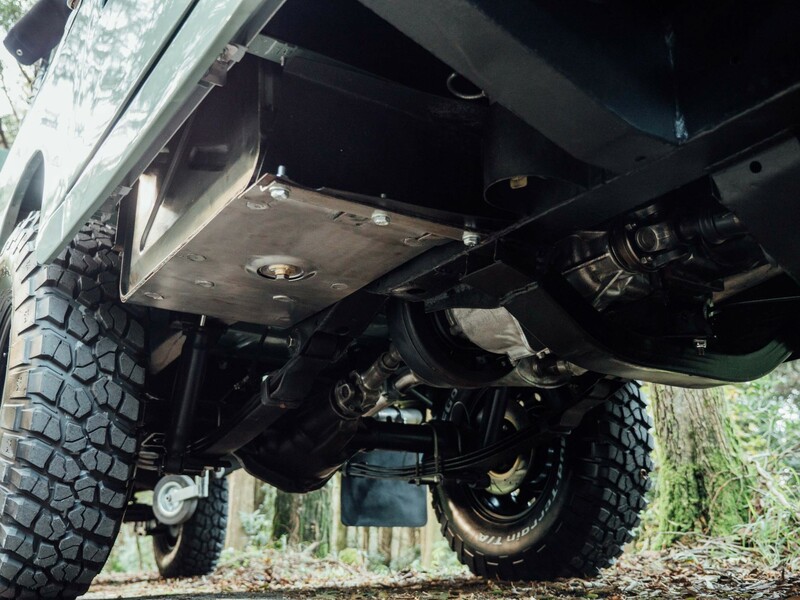 For the true Land Rover enthusiast the Series trucks hold alluring appeal. They harken to the halcyon days of the brand when utility was their raison d’être and luxury was as yet to enter the foray. For lovers of the Series in all its forms, this month marks a weighty moment in the historical journey of the platform. 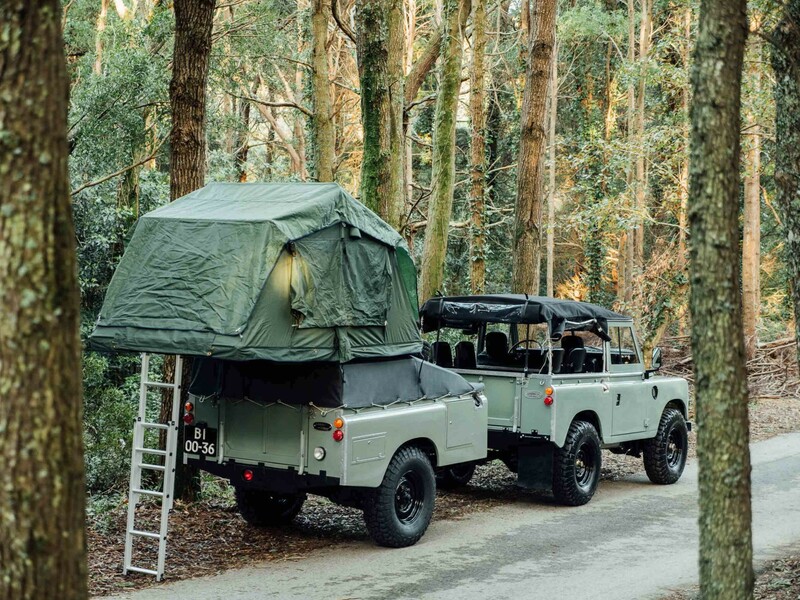 The current Land Rover Defender, the heir to the original Series crown, is winding down production and after January of 2015, will be made no more. 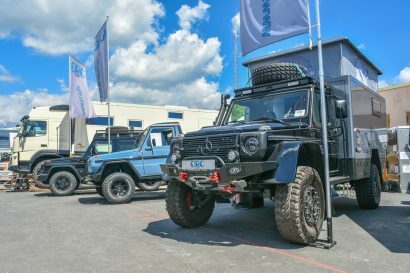 Although it is only natural to lament the end of a long reign, the Series and Defender trucks are still highly prized. Valued for far more than just their purchase prices, many are coveted collectibles. 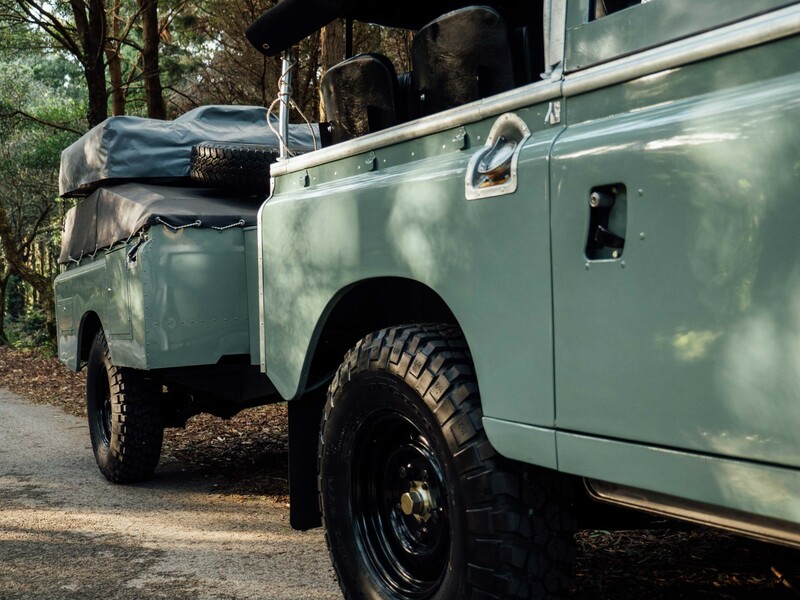 This truck, although not completely original, embodies the Land Rover ethos and might be one of the most beautiful Land Rovers we have featured on Expedition Portal. Even better, it could be yours. That’s right, it is for sale. 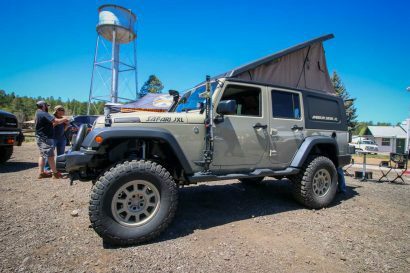 The seller refers to it as The Ultimate Adventuremobile, and they make a compelling case for such a claim. 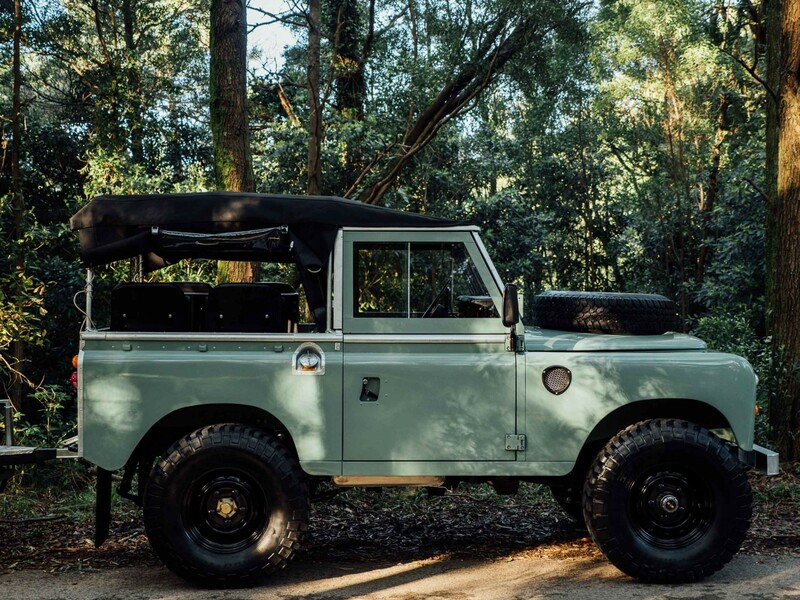 More specifically it is a 1982 Land Rover Series III with a modern 2500cc Tdi engine under the bonnet. 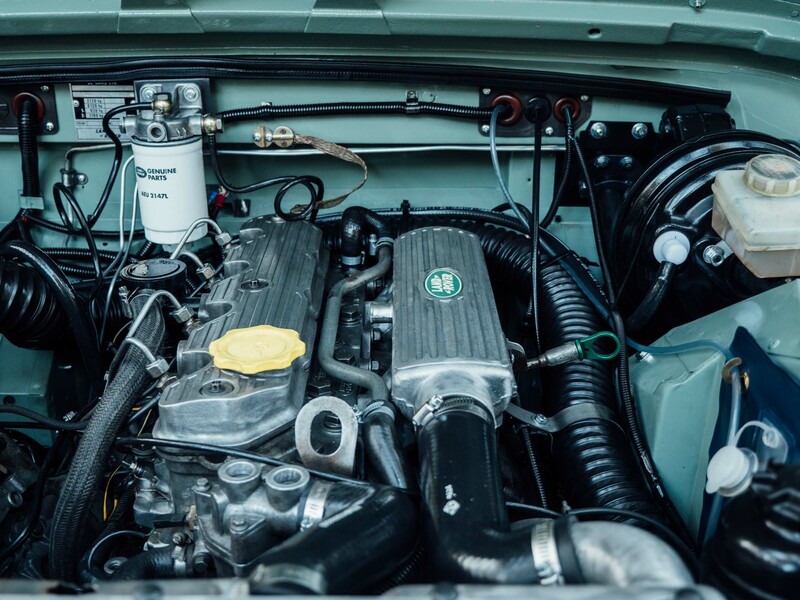 That immaculately prepared engine is paired to a manual 5 speed changer giving this little Rover plenty of power for travels far and wide. 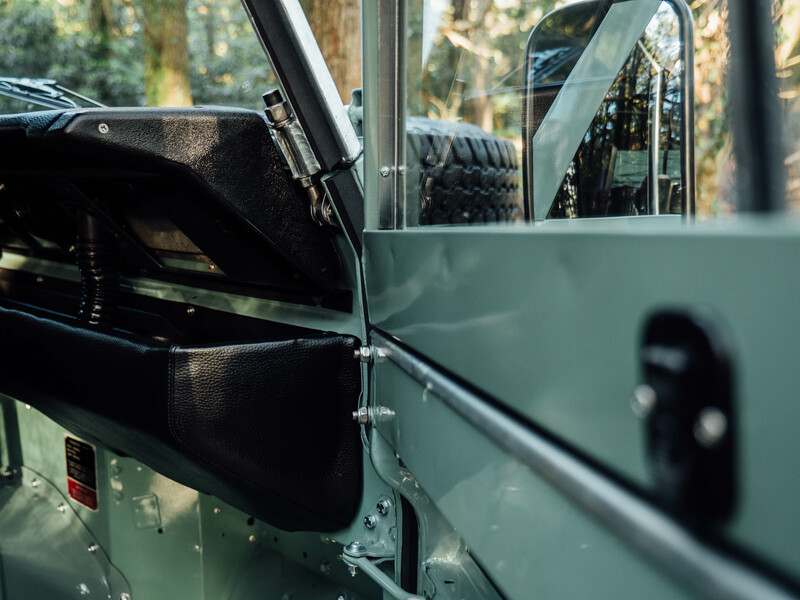 Restored to perfection, the truck on its own is lust worthy. 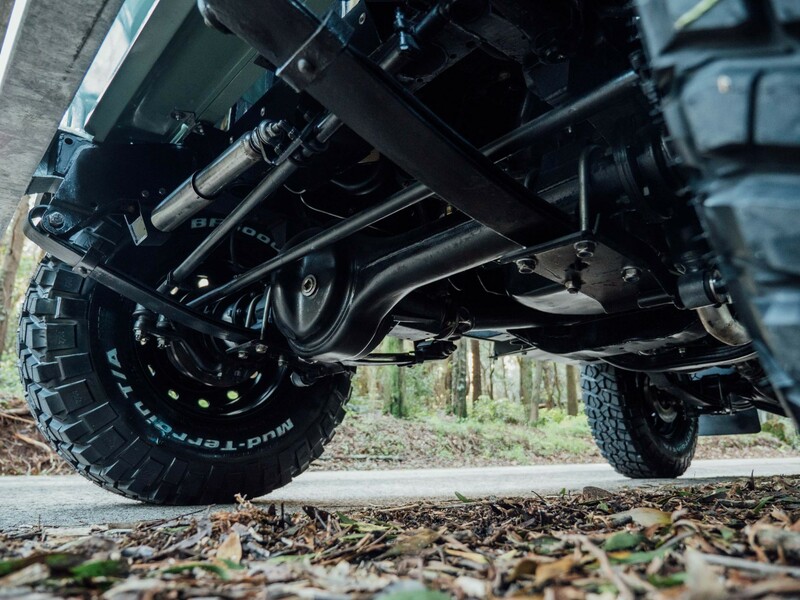 The addition of the adventure-ready trailer is what puts this Landy in a league of its own. 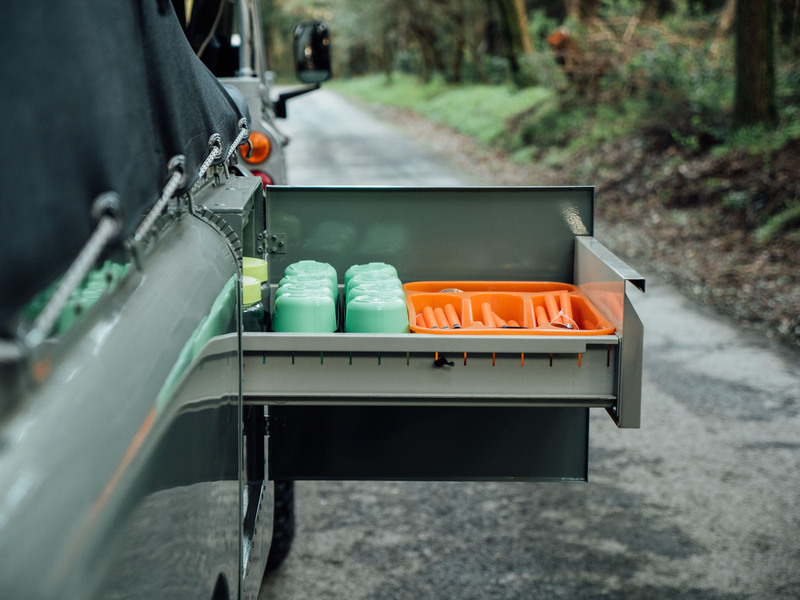 Capped with a rooftop tent and color matched to complement the host truck, the trailer has several camp comforts built into its storage bins. It has a stove, kitchen box, and other necessities. Add a bottle of your favorite single malt to the galley box and head for the Highlands. 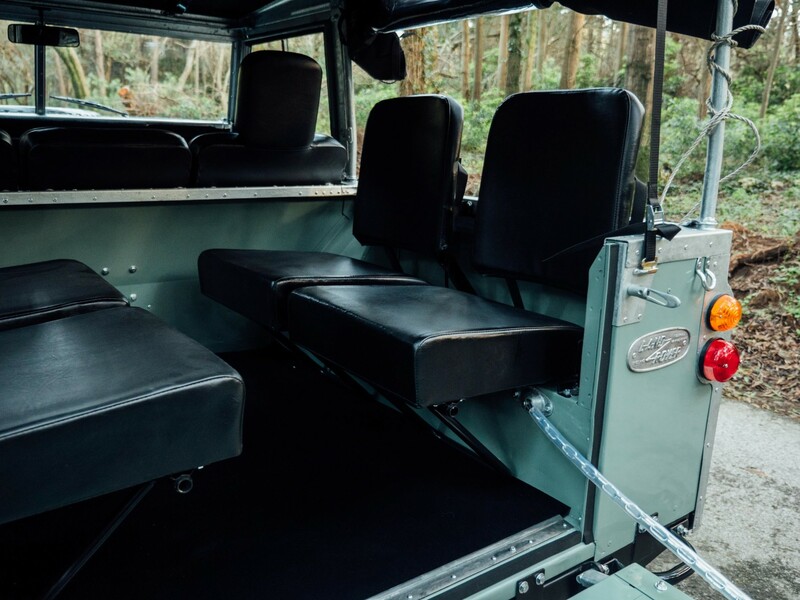 Invite four of your best mates to tag along, there are enough jump seats in the back to accommodate them. It’s obvious that no expense was spared during the build. 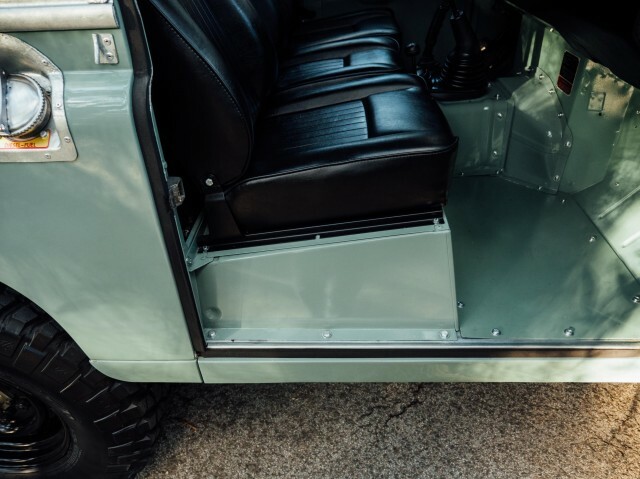 The galvanized frame peeks out from beneath immaculately restored sheet metal. The driveline components were not overlooked with the inclusion of disc brakes on all four corners. 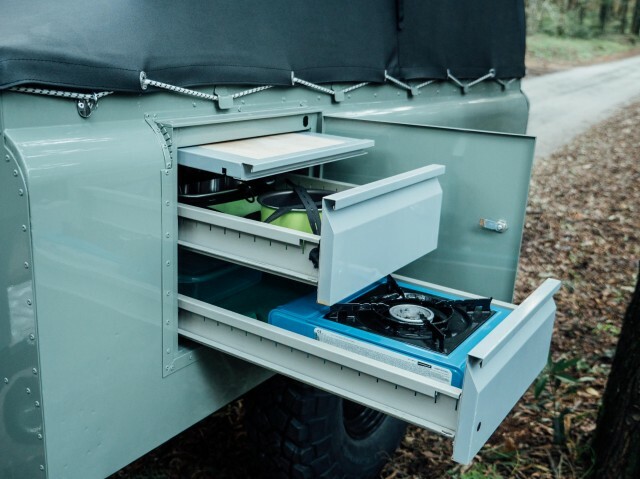 The end result is a gorgeous representation of what overlanding was like decades ago.